This was a good week. I got lots of studying done, did well on a test, went out to dinner with the family for my nephew's 3rd birthday (he's turning 12 on the 29th), and tried out being a moulage patient for an EMS program. 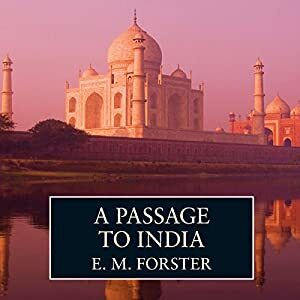 With a backdrop of British Colonial India, A Passage to India is the story of Dr. Aziz, a Muslim Indian physician who is sympathetic and welcoming of the Brits. The story begins with Dr. Aziz meeting an elderly lady who is visiting her son with Miss Quested, a flighty, priggish young woman who wants to meet a "real Indian." Dr. Aziz, in welcoming exuberance, gives a polite but insincere invitation to his house and is shocked when Miss Quested takes him up on the offer. Embarrassed by his home, Dr. Aziz instead suggests that he host a trip to the Marabar caves. But in those caves, Miss Quested gets lost, and in her fear thinks that Dr. Aziz has accosted her, when he is actually in another cave looking for her. 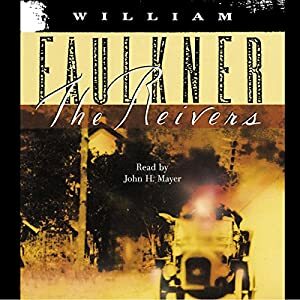 In this Pulitzer Prize winning novel, 11 year old Lucas Priest is talked into stealing his grandpa's car by his family friend Boon Hogganbeck. One of the Priest family retainers manages to sneak into the car and comes along for the ride. The trio make their way to Memphis, where Boon has a girl he'd like to court. Along the way, they lose the car, gain a racehorse, and generally get in trouble. The area around the Ingalls' little house in the big woods is getting crowded, and Pa decides to hop in the wagon and head off to "Indian country" in Kansas. The family finds a nice place to settle and spends months building a home there. But just as things are beginning to settle down to a normal life, they begin to have troubles with the natives in the area, who are angry about all the settlers moving into their territory. Captain Grimm is a dedicated airship captain who has fallen into disrepute. Instead of in its military, he serves Spire Aurora by catching pirate ships on his free ship named Predator. 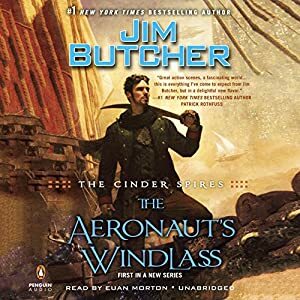 However, when Aurora is attacked by a neighboring spire, he must take on a more dangerous mission looking for the enemy who may be lurking within Spire Aurora's ranks. Besides the grim captain, the mission includes two feisty young women, a loyal (but disdainful) cat, and a young warrior of the guard. This week was pretty uneventful. The Super Bowl party was fun, but of course the Panthers lost. My nephew, who picked the Broncos because they were ahead when we got to the party, had a fun time ribbing me throughout the game. Monday I had insurance problems - they wouldn't fill my prescription because the dose was too high, but I need that dose to keep stable. I hate insurance. Tuesday I bought some new running shoes - I've decided to start exercising since I'm unemployed now and won't get the exercise I've been getting at work. Wow am I out of shape. I intended to bike for an hour and then run for an hour. I ended up biking for half an hour and then heading home. But at least I wasn't in physical pain the next day. Thursday I had tax problems - apparently someone messed up my W-4, I'm guessing my company since I didn't change it from last year, so I owe $700. Perfect. I just quit my job, too. I'm hoping I messed up when filling out the form. Might cough up the money to get them professionally done. I only got ONE book read! How is that even possible? 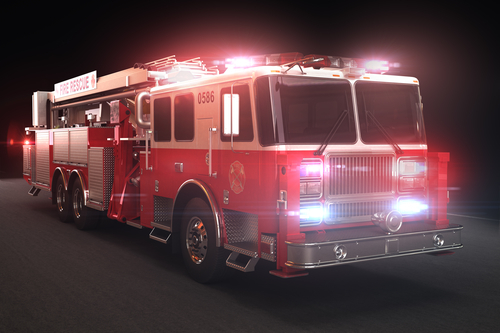 This coming week I'm looking forward to an EMT ridealong with a local fire department, I'll let you know how that goes. What is it like for a convicted murderer who has spent decades behind bars to suddenly find himself released into a world he barely recognizes? What is it like to start over from nothing? 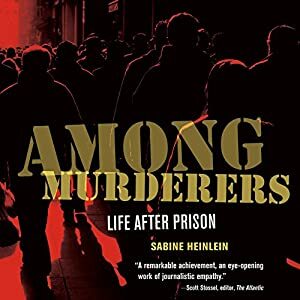 To answer these questions Sabine Heinlein followed the everyday lives and emotional struggles of Angel Ramos and his friends Bruce and Adam - three men convicted of some of society's most heinous crimes - as they return to the free world. This is the first weekly check in for the The Reluctant Romantic challenge. What genre are you reading this month? This month I am reading modernist literature. Before this month, I knew very little about modernist philosophy / literature, and as far as I know I've only read one book in the genre - The Trial, by Franz Kafka. And I read that years ago before I was able to understand the philosophy (though the book was awesome!). Yay! Friday was my last day of being a manager. I just can't wait to taste the freedom of not having to tell people what to do anymore! And I'm really looking forward to the spare time with which to study. Otherwise this week was uneventful. We had a snowstorm which made the drive home 3 times the length it should have been, and I had to shovel knee-high snow out of my driveway in the morning, but at least it was light snow. Sunday I'm looking forward to the Super Bowl. My nephew really wanted to go to a party, so I hunted one down and we'll have a good time. I'm rooting for the Panthers. Not because I know what I'm talking about, but because I'm a cat-person. And panthers are cool. I don't know who my 12 year old nephew is rooting for yet. P. S. I know the Panthers lost. I wrote this on Friday. 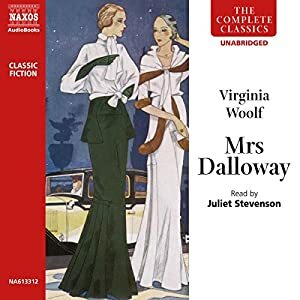 This experimental book takes place in one day in June 1923, as Clarissa Dalloway prepares for and then gives a very successful high society party. In parallel, we follow the story of Septimus Smith, who has shell shock after witnessing the death of his friend during the war. 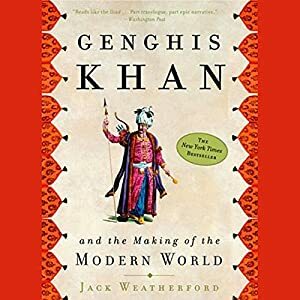 This book takes place in the not-so-distant future - a future in which magical spheres have inexplicably appeared all over the world. These spheres can be burned by one person, and that person receives an extraordinary gift.